A new release of Reveal (v17) is available to all users with a current license, and as a 14-day trial. 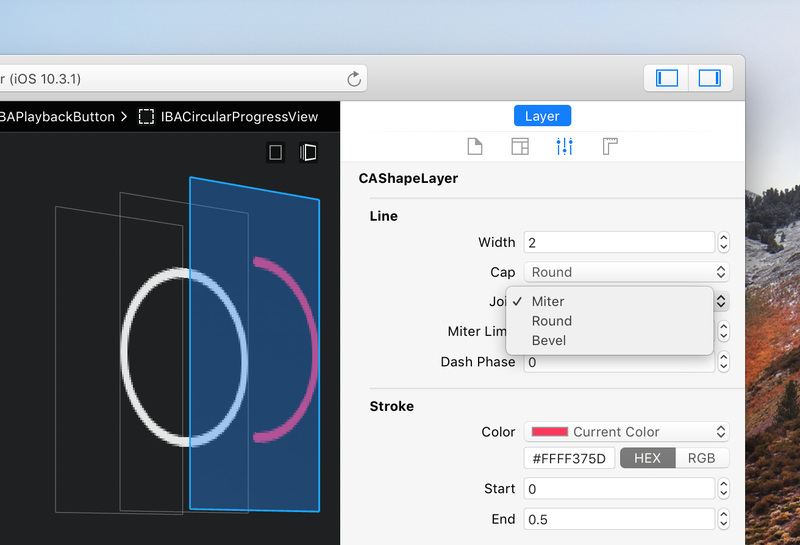 Attributes Inspector for Core Animation layers now supports 32 new properties across several classes. Several layer properties with string enum types (e.g. CAShapeLayer.lineCap) are now displayed correctly in the inspectors and can be modified. Attributes Inspector for UITextField, UITextView and UISearchBar classes now supports textContentType property. Attributes Inspector now displays properties of MapKit views when inspecting tvOS apps. Layout Report section of a system constraint’s Layout Inspector. Clicking a warning icon that appears next to broken constraints in the Participating Constraints inspector now displays the description of the warning in a popover, instead of selecting that constraint immediately. 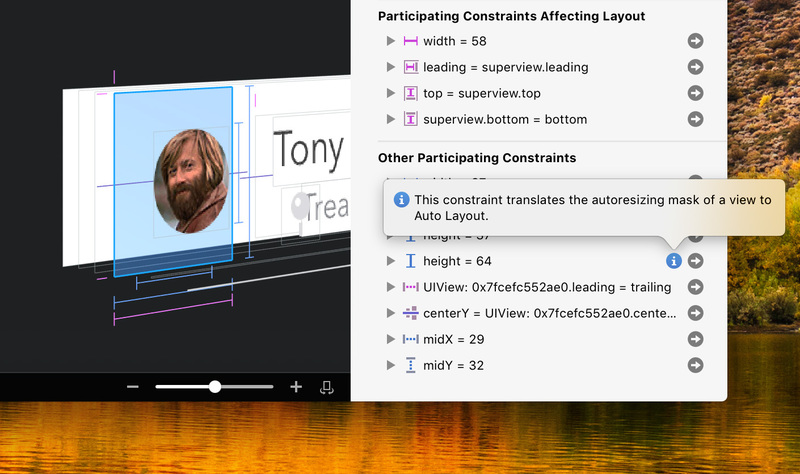 Outline and Participating Constraints inspector now display descriptions for autoresizing mask layout constraints instead of treating them as unknown. Navigate menu now includes Select Next Issue and Select Previous Issue commands for quick navigation to the Outline items with detected layout issues (i.e. views with ambiguous layout and broken layout constraints). Hierarchy navigation commands in the Navigate menu (e.g. Select Parent) have been updated to better support layout constraints, layout guides and layers. Edit → Copy command now allows copying a debugger expression corresponding to the currently selected item. Several commands and options in the Canvas and Navigate menus have been renamed to better reflect their current functionality, e.g. layer inspection support. Outline items for CATextLayer objects now include the text displayed by those layers. Views from Google Maps SDK (GMSMapView and GMSPanoramaView) are now collapsed in the Outline and Canvas by default, similarly to MKMapView. Several under-the-hood changes in preparation for Dark Mode support on macOS 10.14 Mojave. Collapsing some items containing layout guides is now animated correctly in the Canvas. Canvas now correctly positions items with miniscule intersection, instead of needlessly separating them. This mainly affected inspecting apps displayed on 3× screens. Inspectors of option set (bitmask) properties no longer include a superfluous checkbox for “None” (zero) option. View hierarchies that contain objects overriding isEqual: method (e.g. layers from Google Maps SDK) can now be inspected correctly. Fixed the Layout Report inspector not appearing if a change to a view’s or constraint’s attribute introduced a layout issue. Launching Soundstagram should now succeed if DEVELOPER_DIR environment variable points to the root of Xcode app bundle instead of the Developer directory inside it. Launching Soundstagram should no longer fail to create a new Simulator instance if an appropriate one does not exist yet.